This will work with other whole lean fish and cuts or ‘roasts’ of halibut or pink salmon. Adjust the cooking time according to the thickness and density of the fish. Spray baking dish well with non-stick spray. Rinse the fish well inside and out, pat dry, season lightly with salt, pepper and paprika and lay side by side in a shallow baking dish. 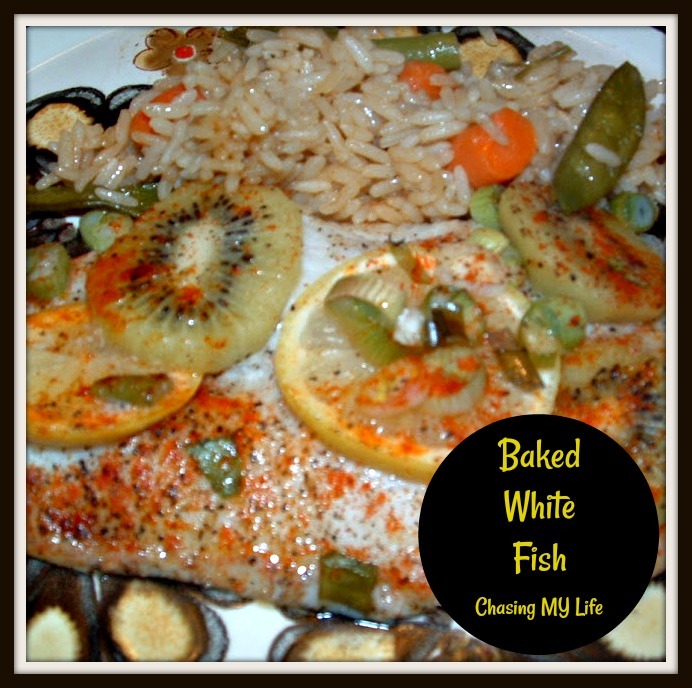 Layer lemon slices loosely over fish and season again. Pour the stock, dressing and ending with the butter over each filet. Make a loose tent of foil over the tail of the fish and place in the oven. Bake, rotating the pan once halfway through the cooking time, until a skewer easily enters the thickest part of the fish, 25 to 30 minutes. Taste for seasoning and adjust if necessary. Whisk together peanut oil, champagne vinegar, lemon juice, sugar, salt & pepper. 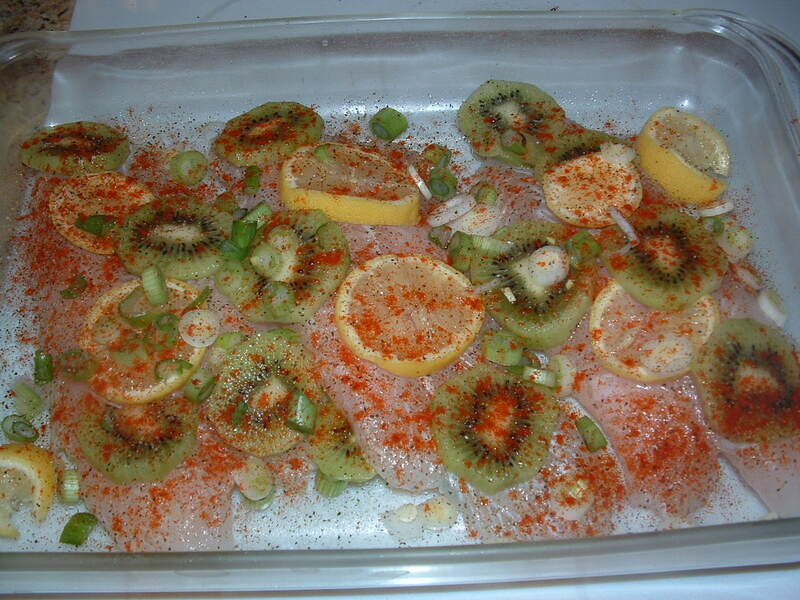 Wow, that looks amazing, and I’m in awe of the use of kiwis, I would have never dreamed to put fish and kiwi together! I hope you have a wonderful rest of the week.